At Wantagh Mazda, our top priority is the satisfaction of our customers. That’s why we are overjoyed to announce that Wantagh Mazda has won the 2018 DealerRater Dealer of the Year award for Mazda in New York and the Consumer Satisfaction Award. We know a business is only as strong as the community in which it operates, which is why we would like to extend a heartfelt thank you to the entire Long Island community. DealerRater.com rates car dealerships based on real customer feedback. Because of this, it is a wonderful resource for customers looking to learn about a specific dealership before they shop, and it allows them to offer positive or negative feedback based on their experiences. According to DealerRater CEO Gary Tucker, “Wantagh Mazda in New York has emerged as the leader among Mazda Dealers across the United States,” thanks to all of the tremendously positive feedback we have received from our customers. This level of enthusiasm from our customers not only lets us know we are achieving our goal of outstanding customer service, it also earned us the 2018 Consumer Satisfaction Award. At Wantagh Mazda, we put family and community first and strive to create a fun, welcoming experience at our dealership, and we believe it is this down-to-earth sales philosophy that has won us these important awards for the fourth year in a row. To see why Wantagh Mazda is so beloved, you can plan a trip of your own to our dealership. 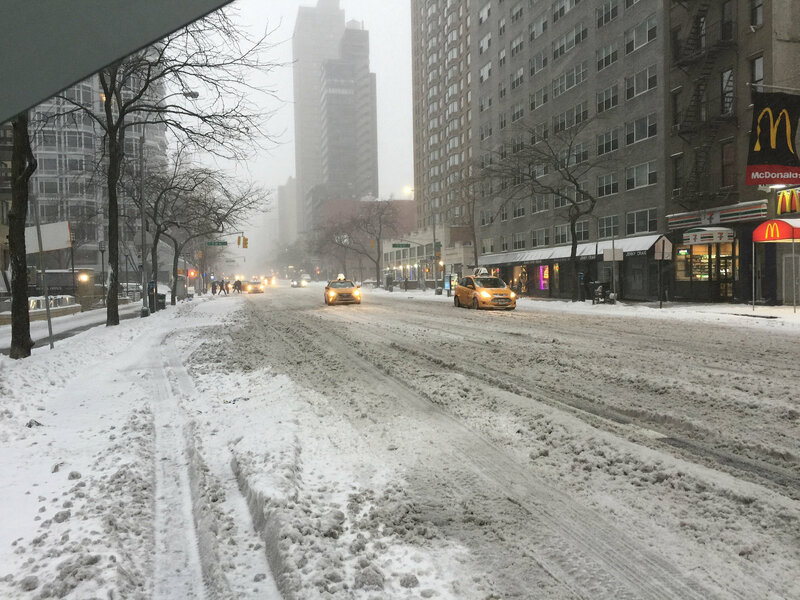 So, how can you prepare for snow on Long Island? The first thing you need to do is make sure you have the right vehicle. If you are worried your front-wheel drive sedan won’t cut it this winter, Mazda has a great lineup of crossovers—all with available all-wheel drive. 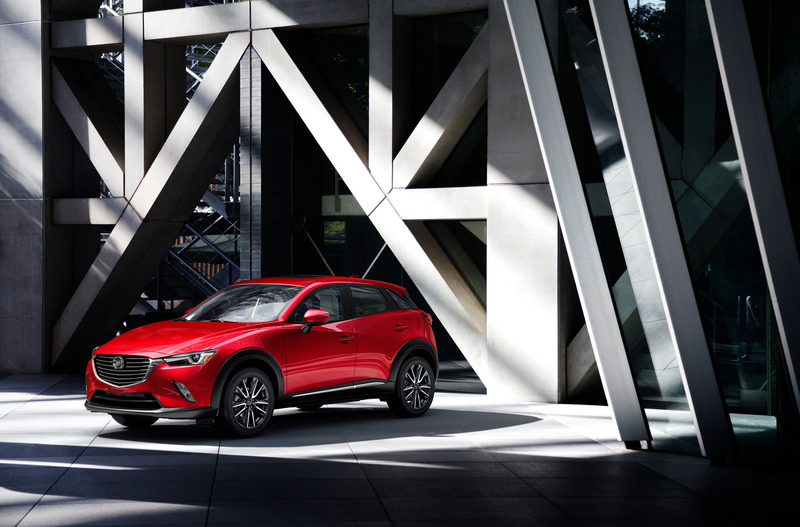 The CX-3, CX-5, and CX-9 not only offer superior traction with their available all-wheel drive systems, but they come with great features like the MAZDA CONNECT™ system, an available Bose® sound system, and advanced safety features. Along with the right vehicle, you also need the right tires. No matter which vehicle you drive, winter tires can make a big difference. They are designed using a special type of rubber that stays soft even when the temperatures are frigid. 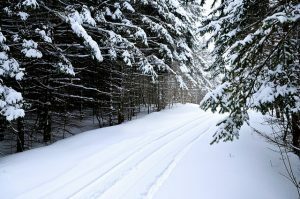 And, the unique tread patterns cut through snow and slush better than all-weather tires. If you are looking for a new winter ride or just want a new set of tires, come visit us at Wantagh Mazda before the worst of winter arrives. The Mazda Drive for Good campaign is a yearly charitable event organized by Mazda that lets you be an active participant in giving back to your community. By simply taking a Mazda vehicle out for a test drive at a Mazda dealership this winter, you earn an hour of community service from the Mazda team for a cause in your community. Plus, if you buy a Mazda during the Drive for Good event, Mazda will donate $150 to the charity of your choice. The Mazda Drive for Good campaign will enjoy its fifth consecutive year this winter, and over the last four years, it has led to over 260,000 hours of community service and raised more than $15 million. Some of the most popular charities you can donate to through Mazda are St. Jude Children’s Research Hospital, the American Heart Association, and the Mazda Foundation, but the full list has over 40 charities, largely focused on medical research and helping children. Mazda Drive for Good’s partnership with NBCUniversal, which has been in effect since 2014, has let the foundation reach many more communities, even if they don’t have a large volunteer force or a nearby Mazda dealership. At Wantagh Mazda, we’re proud to be part of an organization that is so dedicated to giving back. Give us a call to find out more about the Mazda Drive for Good campaign and our participation in it! Whenever you buy a car, you always shake hands to close the deal. But professional pitcher Luis Severino knows how to shake hands with style. He recently paid a visit to purchase a new Mazda and showed us how to really finish things off with a bang. We like to call this the Wantagh Mazda handshake. Luis also shows off his pitching moves and tells us how much fun it is to buy a car from Wantagh Mazda. In case you don’t know who Luis Severino is, he is currently an All-Star pitcher for our favorite New York baseball team. He hails from the Dominican Republic and played for the Dominican Summer League starting in 2011. He moved up to the Major Leagues here in New York in 2015 and started off his big-time career with a bang. In his first game, he pitched five innings, allowing two hits, two runs, seven strikeouts, and no walks. He ended the 2015 season with 11 starts and 56 strikeouts—a great start to his professional career. If you want to have the most fun car-buying experience of your life, then come where the pros go and visit us at Wantagh Mazda today. And, don’t forget to try out our Wantagh Mazda handshake. Every vehicle purchase at Wantagh Mazda comes with a free first oil change. However, you shouldn’t stop with just the first service appointment. Regular vehicle maintenance is essential for preserving performance and fuel economy, and it can even extend the life of your car. That’s why we’ve put together a list of important vehicle maintenance for you to keep track of. According to Consumer Affairs, it used to be that you should start with an oil change once every 3,000 miles or every three months, but today’s engines can go longer between changes, so you should check your owner’s manual for the interval needed. Oil degrades over time, losing essential detergent compounds and getting dirtier the more you drive. Because oil is used to lubricate parts and to move heat away from moving components, that means delaying an oil change could have long-term effects. Next, check the tires at least once a month. You should use a tread-depth indicator to measure tire tread—anything less than 2/32-inch could be dangerous. If you don’t have a tread-depth indicator, you can just to do the penny test. Simply flip a penny upside down and put it in the middle of the tread. If you can see above Abe Lincoln’s head, you need new tires. While you’re at it, check the tire pressure as well, and every few oil changes, make sure to have your mechanic rotate your tires. Finally, top off the fluids every few months. You should check coolant/antifreeze, oil, transmission fluid, brake fluid, and steering fluid. These are just some of the basic things you can do to keep your car in prime condition. Stop by our service center for all your maintenance needs. At Wantagh Mazda, we’re always eager to hear back from our customers. Naturally, we’d like to know if you were not absolutely satisfied in every way. Additionally, however, we encourage you to leave positive feedback, including reviews on your vehicle. 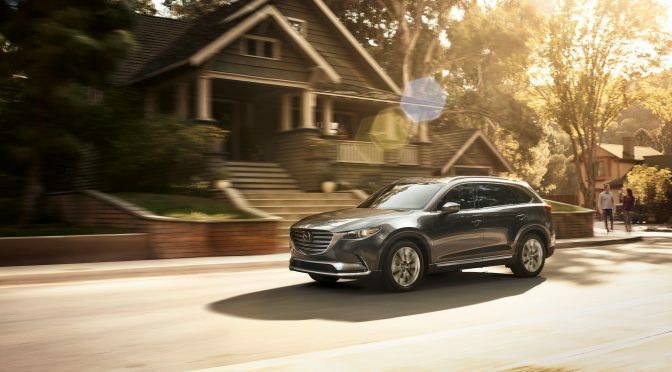 For instance, if you love the spacious Mazda CX-9, leaving an effective review will let others know that it might be the perfect family vehicle. Online review tips can be straightforward, as long as you remember the context of the piece you’re writing. So, you can write that a car is “fun,” that the car-buying process was “easy,” or that the staff “felt like family.” These are all phrases that provide signals to readers, encouraging them to check out a particular model or to visit our store. According to Life Hacker, one of the key things to remember is to include relevant details. What is the year, make, and model of the car your purchased? Do you drive it every day? Which trim did you choose? How did you decide on that particular car? Being specific can help other buyers know what they might like or dislike when buying a car. As always, we’re glad to hear from you regardless of the type of feedback you have. Our goal is to make car shopping easy, enjoyable, and worthwhile. Post your comments, call, or stop by today. We don’t want to get too excited about the weather warming up, but spring sure feels like it’s coming soon. Now is the perfect time to start thinking about getting your car ready for spring, so follow these easy tips! Winter is harsh on your car, so a big part of getting ready for spring is cleaning up the mess winter left. Cleaning under your car is one of the most important things you can do, since built up slush and salt can stick and start to cause your car to rust, and it’s a spot we often forget to clean. You’ll also want to clean the inside of the car out. Stepping in it with your wet, muddy shoes all winter has probably left it pretty grimy—wash or vacuum the carpets, clean off the seats, and scrub the inside of the windows and windshields. Change your windshield wipers. You should do this about once a year, and they’ve just taken a serious beating. You’ll also want to switch back over to all-season blades if you have winter ones installed. Check the tire pressure and add or release air as necessary, since cold weather takes a toll on tire pressure. Change your oil and top off any fluids that need it, since winter is rough on your engine and you may very well have lost some. And if you have questions or want to schedule post-winter service, we’re happy to help here at Wantagh Mazda! We all get used to driving after a certain point, especially if we take the same boring commute day after day. As a result, we stop paying as much attention as we should, or start cutting corners to get home faster. That’s why, if you’re still stuck on a resolution for 2017, you should consider making a goal to practice safer driving habits like one of these. No Speeding: We’ve all done it. You may not think there’s much harm in going five or ten over the speed limit, but where do you draw the line? Slow down and pay attention to your surroundings. 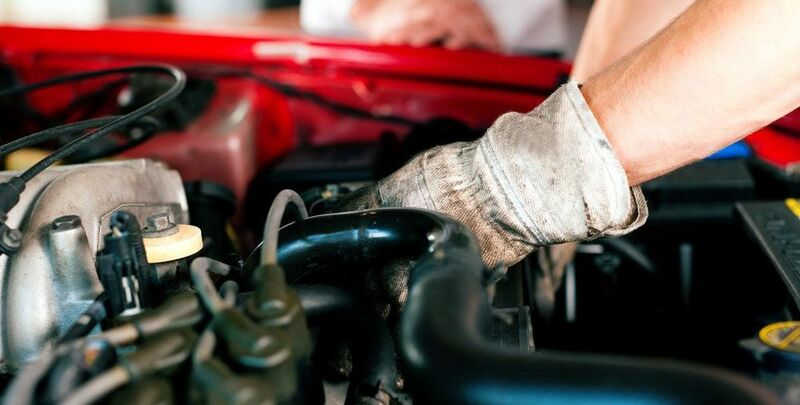 Maintain Your Car: Keeping up with regular service appointments may seem like a hassle, but you’ll wish you’d done it when you’re on the side of the road with engine trouble. Use Your Blinker: Don’t be that guy. When changing lanes or making turns, use your turn signal to let other drivers know where you’re headed. Minimize Distractions: Messing with the radio, eating, drinking – all of these count as distractions behind the wheel. No Phone Usage: This piggybacks off the last point. 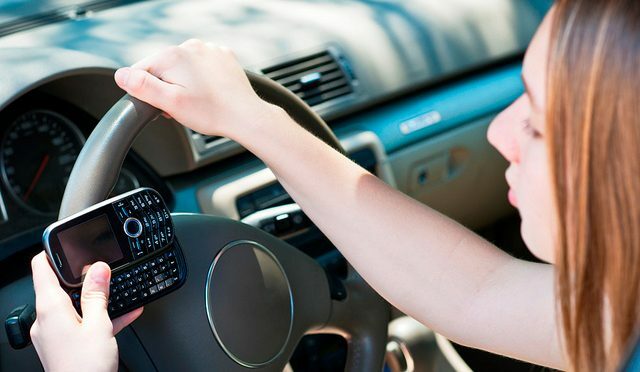 We know the hazards of texting and driving, but try to avoid phone calls, too. Safer driving habits don’t just keep you safe, but they protect other drivers and model good behavior for your kids, too. As we move through the holiday season, it’s easy to get caught up in all of the festivities and fun. Unfortunately, this means that sometimes we forget to take care of the little things, like readying your vehicle for winter. Here is how to prepare your car for the cold to keep both you and your car safe. While the snow is great during the holiday season, the salt that comes along with it does serious damage to cars if the proper steps are not taken. To prevent damage from the salt, it’s important to winterize your car. 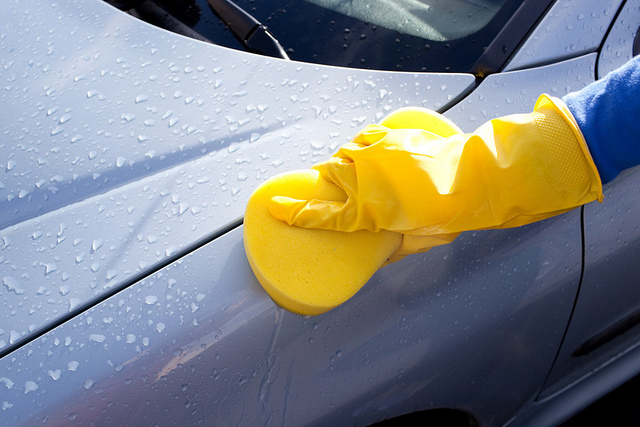 In the beginning of the winter season, wash and wax your car thoroughly to keep the exterior of your car from rusting. Do this once every month or two to keep your car healthy. Once you’ve taken care of the exterior of the car, put together an emergency kit just in case something should happen while you’re driving. This kit includes things like a warm blanket, extra clothes, a flashlight, flares, spare food, and anything else you think you may need in the event of an emergency. By taking these few simple steps, you ensure the health of both you and your vehicle for many years to come. Should You Get Winter Tires This Year, and Why? The winter months are finally approaching, and you know what that means: snow, and lots of it. Luckily, there is one easy way that you can prepare for wintery roads, regardless of what sort of vehicle you drive. With winter tires, your chances of driving through the snow without a slip or a loss of traction are much, much higher, especially compared to standard, all-season tires, with which most vehicles tend to operate. Winter tires are designed specifically for snow and ice, though they also perform beautifully on dry roads. Compare this design to that of all-season tires, which aim to tackle each season as best as possible, sacrificing winter integrity. Not only are winter tires better for driving in the snow and ice, but also, they are created with a different type of tread rubber that stays flexible at lower temperatures. Regular tires tend to freeze up and even deflate when the temperatures get cool. 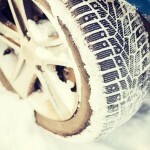 If you drive on all-season tires this winter, you certainly won’t be doomed, but why risk it? If you are in a snowy area or have a snowy commute, consider switching it up this year with winter tires. For more information on why you should get winter tires or to check out a winter-ready vehicle, contact us or visit us anytime at Wantagh Mazda. Posted on October 22, 2016 Categories Car Maintenance Tips, Driving TipsTags Get Winter TiresLeave a comment on Should You Get Winter Tires This Year, and Why?